When you look for a family vacation, what you are effectively looking for is something where everyone can enjoy the holiday. From children of all ages to adults with different kind of interests, these holiday attractions ensure that you have something for every single member of your family. Hampshire is a bustling holiday destination for people travelling with children and for a very good reason. A great way to explore this area is by staying in touring caravan sites near to local attractions, and then exploring the local area by bicycle or on foot. There are some fantastic cycle paths and running tracks to explore in Hampshire. The county is teeming with attractions that guarantee a wonderful time for everyone as historical, cultural and natural attractions, amongst others, pull thousands of people every year. Here’s a look at some of the most incredible attractions that you just have to visit, if you happen to be in the county with your family. One of the world’s most well-known novelists, Jane Austen’s pre-industrial era home saw eight wonderful years of her 17th century existence. 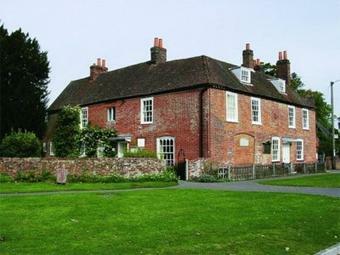 Some of her best works were created in this beautiful home that sits at Chawton. Adults who have read her works, as well as children who have heard of her, love walking through this beautiful mansion that has been maintained impeccably. Another historical attraction that takes you into the homes of one of the most powerful courtiers, William Paulet – Marques of Winchester, the Basing House oozes history from its walls. King Henry VIII and Queen Elizabeth I, amongst others, have graced this home with their presence. The home still bears the scars of the Civil War, where this medieval castle was placed under siege, leading up to Oliver Cromwell’s imprisonment after the home’s fall. Every part of this massive home has been painstakingly refurbished to accommodate people of all ages. There are special provisions to organise picnics in the Jacobean Garden while taking a break from all that historical information download. When you approach Havant, you can almost sense nature’s beauty and tranquillity in the air. It, almost, gives off the vibe that there is something special lying in wait. When you hit Staunton Country Park, you can instantly tell that it is really special. 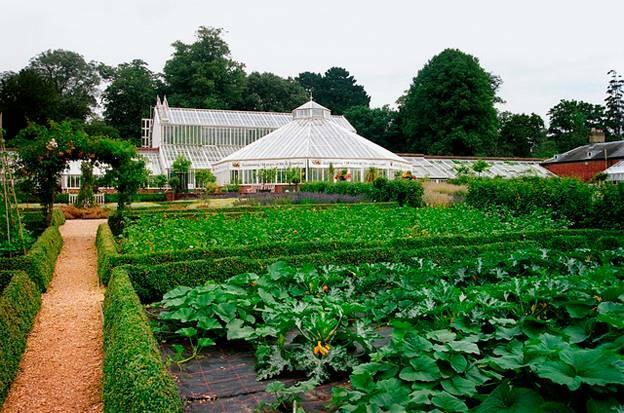 Created by Sir George Staunton in the 19th century, the park gives children and adults a place to enjoy a day out with some fantastic animals. There are plenty of ornamental farm lands with a whole bunch of friendly animals that everyone can play with and feed. Spread over 1,000 acres, the Staunton Country Park is filled with ornamental lakes, plenty of cycling trails and some wonderful nature-walks to add to that brilliant animal farm. The Regency Team Rooms and the Victorian Coach House Café are a brilliant way to finish off that exciting day with the family. Every family holiday must include a trip to a theme park – that is a-given! When you are in Hampshire, the Paultons Park gives you everything you need to break the boredom in your regular lives. The park has over 50 rides that guarantee a fantastic time, with attractions like the EDGE and the Cobra. From Roller Coasters to a raging river log ride that runs through this massive theme park, there are rides for everyone. The park also has its own water-section, which has everything from the regular water slides and fountains to the super soakers and giant tipping buckets. Effectively, this is the most incredible way to guarantee that children and adults get the same level of enjoyment out of their Hampshire holiday. There are plenty of ways to make Hampshire a brilliant place to spend time with your family. Full of beaches, nature and plenty of good food & entertainment, there are few things better than a holiday in Hampshire. Anne Sanders the author of the “Things to do in Hampshire for families” is a full time mum of three and a part time holiday advisor in Hampshire.